8. FBI looking into laws about body parts shipment. 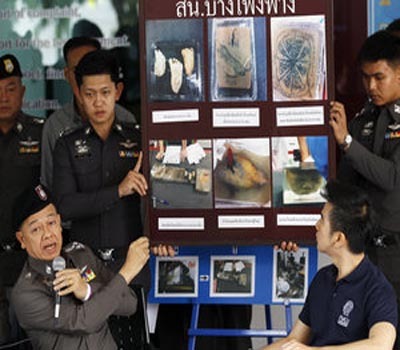 Agencies Las Vegas, November 18, 2014 : US investigators are trying to determine whether any laws were broken by two American tourists who police say tried to ship preserved human parts from Thailand to Las Vegas.FBI spokeswoman Bridget Pappas said Monday that investigators are aware that Ryan McPherson and Daniel Tanner were questioned after Bangkok police confiscated the three packages labeled "toys. "Police say they contained body parts including an infant's head, a baby's foot and an adult heart. The 31-year-old McPherson and 33-year-old Tanner were released.They left Thailand on Sunday and couldn't be reached for comment. Bangkok police say McPherson told them he thought the items were bizarre and wanted to send them to friends back home.Efforts to reach family members or representatives in the Las Vegas area have been unsuccessful.